I resigned today. I QUIT! I resigned today. I quit. I did it like you see in the movies, I shouted “That’s it! I’m done. No one here appreciates me and I’m OVER it”. The day hadn’t started well. It was nothing big, just a series of small things. There was a disagreement at breakfast, someone “accidentally” threw a brush at someone which resulted in tears and a cut lip, someone “forgot” to brush their teeth so we ran back upstairs for the third time after getting in the car. I quickly went to pour a cup of coffee for the trip. No milk. They’d drank all of the milk. As I made my way through the supermarket with the same vacuous expression on my face as those I passed in the isles, I heard an announcement over the speakers. “In just a moment one lucky winner will receive all the items in their trolley for free”. I raced to checkout 6 at what appeared to be the perfect time “3…2…1…spin” the chocolate wheel flicked through the numbers “the winner is checkout number 7! !” The woman next to me jumped in the air and screamed. I paid the bill and then realized I’d forgotten the milk. I had two of the little travelers with me in the school cafeteria while we waited for the girls to finish their after school activities. It was just me and the boys, until 10 minutes before it was time to leave and I realized I only had one son. “Where did your brother go?” I asked the 4th Little Traveller. He was as clueless as I was. We did an entire lap of the High School, I screamed out his name across the oval, made my way to the basketball courts and then wondered which phone call to make first. “I’m up here” he was giggling “I’ve been watching you the whole time”. I made eye contact. I did not speak. I was too angry to speak. I began walking. The next 10 minutes are a bit of a blur but these are the things I remember. The fourth little traveler hit the third over the head with his lunch box. The second little traveler outed me to the music teacher as being untrustworthy with information, when she made me publicly admit that I may have lost the details to the choir concert next week. The third traveler returned the lunch box favour. The music teacher made me follow her to her classroom so she could find me *insert sigh from second little traveller here* another choir concert form. The fourth little traveller tried to trip the third traveler over on the way to the car. The second traveler then locked the doors of the car and didn’t let them in and once she did, she didn’t let them sit down on their seats. 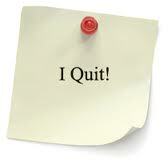 “I quit! I’m done. Noone appreciates me” screamed a heinous voice from the front of the car, I suddenly realized it was coming from my mouth. My hands were shaking, I could feel the blood pulsing through a vein next to my right eye. “It’s all over. I don’t want this job anymore. Tomorrow you can all get yourselves to school”. The third little traveler thought for a moment and then decided to dispute the “unforgivable” but the second little traveler shot him a look that said ‘stop talking right now – she’s not herself’. The fourth little traveller looked up from his lap “I guess this means we’ll need to find another Australian mother” he volunteered to the others. By the look on their faces I could see they were as perplexed as I was on why the new mother had to be Australian. When we arrived home I announced the new changes. “Help yourselves to snacks guys. You may remember that I recently resigned? This will also apply to dinner and homework. Good luck, I wish you all the best”. The apologies came one by one. I tried to keep up the facade but I wanted to get the homework out of the way and set the table. We made snacks, we began to see the humor, someone giggled and we talked about why Mummy went a little crazy in the car. “You were a bit scary Mummy – I was getting a bit sad”. This was my first and last resignation. If I tried it again I imagine it would pass by unnoticed, they’d call my bluff. I checked on my conditions of employment and it appears that I’m in the role until I’m made redundant. I’ve bought extra milk. I’m not doing it tomorrow without coffee. Have you ever turned in to scary Mummy?